Curative and assistive health devices can make life much easier. Our innovative but simple to use health devices and self-care medical products will enable you to stay as independent as possible, can help you ease your pain, monitor and manage your health, at the comfort of your home. P-MediCyp Ltd is a leader in innovative home care equipment and supplies and can offer you a wide range of solutions for home self care devices. We at P-MediCyp Ltd from Paphos Cyprus understand the need and the convenient of home personal care. That is why our wide range of innovative self-care medical devices plays a considerable role in providing you means to diagnose, manage, treat or even help cure different health conditions. Time and time again we see how our customers benefit from home monitoring and treatment. Alot of people in Cyprus are affected by chronic diseases and alot of them can benefit from P-MediCyp Ltd home healthcare services. We witness how by using home measure and cure devices, our customers are cutting down costs, time and energy. Keep in touch with us regarding new, easy to use, portable, cost-effective and innovative self-care medical products we are offering exclusively, in Cyprus. Looking for an at-home fungal nail treatment that is the latest innovation in Laser treatment? A fungal nail infection treatment device that has a compact design and is so lightweight and small? P-MediCyp Ltd innovative Cure Ex treatment device is a cost-effective alternative fungal nail treatment, easy to apply and effective, with no associated medical risks and no side effects. The Cure Ex fungal nail treatment device, distributed in Cyprus solely by P-MediCyp Ltd, is an effective and safe, painless, non-invasive home use device that is CE approved. Onychomycosis ( also known as "dermatophytic onychomycosis", " ringworm of the nail" and "tinea unguium") means fungal infection of the nail. It is the most common disease of the nails and constitutes about a half of all nail abnormalities. This condition may affect toenails or fingernails, but toenail infections are particularly common. Toenail fungal infections are one of the most common reasons for visiting dermatologists. Studies indicate that adults are 30 times more likely to have onychomycosis than children and can reach up to 13% in certain areas of the world. What is Cure-Ex and how does it work? Cure-Ex is a self treating , home medical device, aimed for curing onychomycosis. Cure -Ex combines Low Level Laser Therapy (LLLT) and visible blue light, all in one small and convenient apparatus. This enables Cure-Ex to achieve an efficient solution in easing and curing symptoms associated with fungal infection of the nail, both for toenails and for fingernails. These two different energy modalities , combined together, will produce a symbiotic effect of eliminating onychomycosis. We at P-MediCyp Ltd Cyprus are leaders in the home healthcare market and are aware that the Cure-Ex is ideally suited to the end user market as it is simple to use, relatively inexpensive and intended for use by all ages. We at P-MediCyp Ltd are also cooperating with sales channels like Pharmacies in Cyprus, Dermatologists clinics in Cyprus, Sport centers (Gyms) in Cyprus and Cosmeticians and beauty salons all over Cyprus. P-MediCyp Ltd seek to partner with distributors with solid coverage and performance in the above sales channels. How does the Low Level Laser Treatment (LLLT) helps cure the nails? Low level laser used in the Cure Ex device works by penetrating thickened nail and enhancing one of the most fundemental molecular mechanisms in the human body- cellular respiration and the production of ATP. As more ATP is produced, energy consuming biological work such as movement, protein synthesis and active transport will become enhanced. The result is that inflamed and damaged tissue surrounding infected nail will heel faster. More over, increased cellular activity due to Cure Ex treatment will enable faster growth of new and healthy nails, thus substantially shortening time needed for treatment results to show. Now you can do it at home, in front of the T.V , in the office at work or even on the go, with no need for any regular or even one time visit to any sort of clinic or specialist. Cure-Ex is intended for all ages- it is completely user-friendly, safe and approved for home medical use by the CE. What are the advantages of the Cure Ex over other treatment options of toe fungus? Cure Ex fungal nail treatment has significant advantages over the systemic treatment and the topical treatment. The anti fungal medications are the most effective but bares risks of eventual impairment of kidney and liver functions, hence one might need a constant monitoring of blood chemistry. The systemic treatment lead also to undesirable side effects like vision and mood changes, sensitivity to sunlight, swollen skin, peeling and more. The Cure Ex treatment on the other hand is a cost-effective alternative, effective and very easy to apply. with no associated medical risks and no side effects. Our Cure Ex also has an advantage over the topical treatment (medicinal creams, nail paints and lacquer) that needs to be applied daily for prolonoged periods of time and that have poor cure rates compared to systemic antifungal medications. Comparing to the Cure Ex that have no side effects, the topical traetments are associated with side effects like stinging, burning, redness and irritation of the surrounding skin. Cure Ex is the first world home care laser device for the treatment of toe fungus ! At last, an effective, genuine self care home device for toe nail fungus. You will start to see great results after only 4 weeks of comfort home use. Only 7 minutes treatment a day and your toe fungus will go away !! P-MediCyp Ltd are proud to introduce the Pain Less IR940, an effective light treatment for pain, now in Cyprus ! The Pain Less IR940 device has successfully treated hundreds of orthopedic and rheumatic disorders, over several years of use, it might help you too ! Arthritis- joint inflammation, in cases where the pain is localized and focused. Tendonitis- inflammation of the tendon. Bursitis- inflammation of the bursa. Backache and backpain- attributed to a joint problem, focused in particular areas, diagnosed by physicain or physiotherapist for example Spondylosis in the L4L5 lumbar. 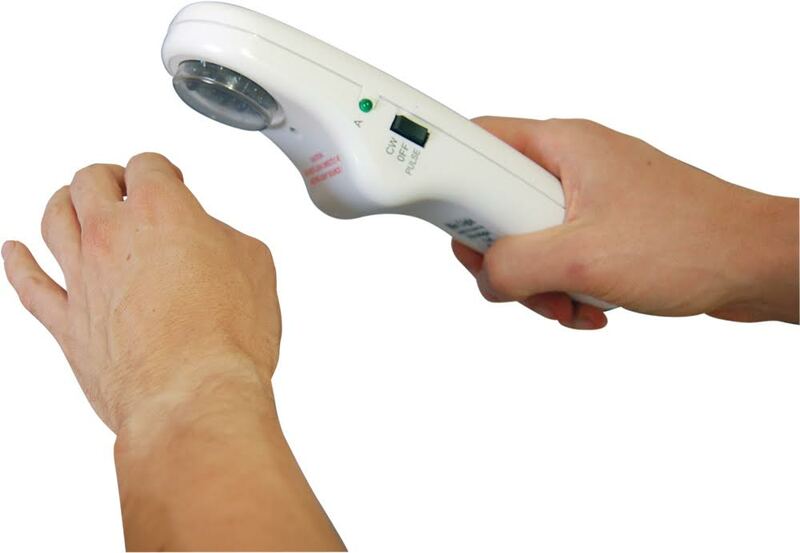 In rheumatic cases, characterized by focused pain swelling of small joints such as the fingers, the Pain-Less IR940 can be used effectively by treating each area separately. How does the Pain Less IR940 works and why is it so effective? 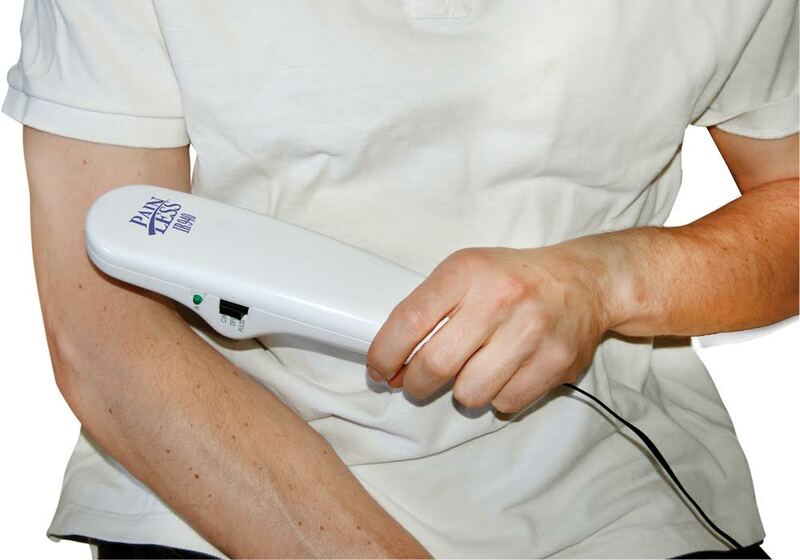 The Pain Less IR940 offers a convenient, effective light treatment for pain. Phototherapy is a medical field where patients are treated with light rays. Sometimes sun light is used in phototherapy. The light source of the Pain-Less IR940 which has special healing properties , is an example of a light source that is not found in nature. 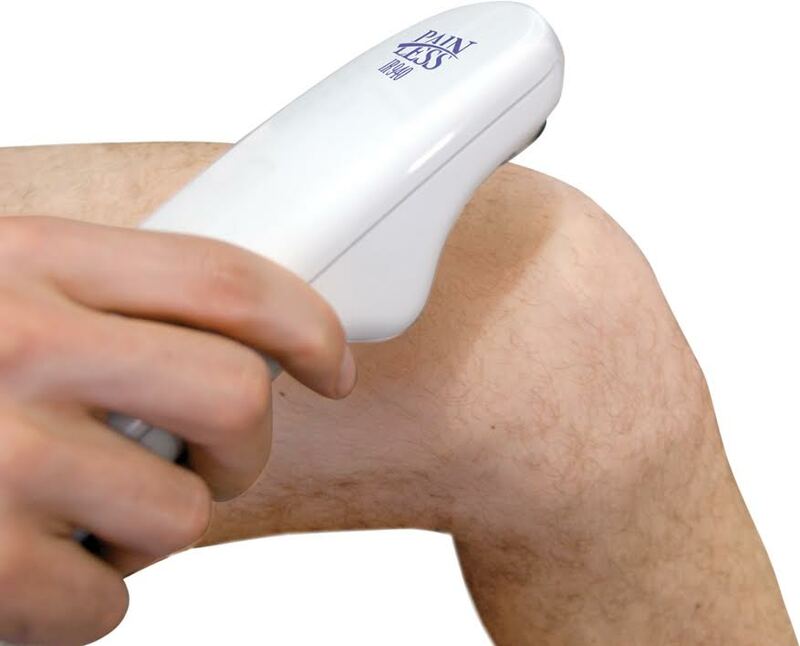 Pain-Less IR940 uses narrow band invisible infrared light to relieve symptomatic joint oain in rheumatic or arthritic conditions such as back pain and knee pain. This light source possesses special qualities accelerating the natural healing process, resulting in fewer medical treatments and less medication. Please note that the illumination treatments with Pain-less IR940 are intended to be carried out in conjunction with treatment prescribed by a licensed medical practitioner and are not intended to replace such medical treatment unless specificaly recommended by a physician. In all cases, it is strongly recommended to consult with a physician before use. P-MediCyp Ltd are Cyprus leaders in home pain relief devices. Call us or send us an email to consult what will best serve your needs. We will be glad to help. P-MediCyp Ltd unique and therapeutic salt lamp emit negative ions that are considered beneficail for cleaning and neutralizing the room air in your home, in the office as a wonderful health gift and more. Our therapeutic Salt Lamp will help purify indoor air and has a lot of health benefits. What is it exactly a salt lamp? Our unique salt lamp is a large piece of pure salt that contains a small bulb inside of it. P-MediCyp Ltd genuine salt lamp generate natural negative ions. Negative ions can be found more in nature (ocean waves, waterfalls) and are responisble for a refreshed and renewed feeling that people experience. Negative ions can neutralize positive ions that are often created by electronic devices like computers, TV and more. Positive ions can worsen your quality of sleep, contribute to stress and allergies. So, very basically, what the negative ions does is bonding with the positive ones and by doing that they help purifing and cleansing the room air. Our therapeutic salt lamp will help you reduce indoor air pollutants in your bedroom area or anywhere at your home, office or clinic. Want to hear more beneficial properties for our unique therapeutic salt lamp? Customers reporting that the salt lamp also aid them with their mood and with gaining overall sense of calmness. In fact, it is well known for generations that people in many European countries have used hot salt springs and salt mines to promote a sense of health, wellness and rejuvenation, so why not purchase one for your home? We at P-MediCyp Ltd are the source for therapeutic salt lamps in Cyprus and as such we are welcoming enquiries for our unique salt lamp from Clinics, Spas, Therapists, Healthcare professionals, Pharmacies, Wellness Medical Centers but also from resellers and of course private customers that understand the quality, benefits and effectivness of our Salt Lamp. How does the salt lamp works exactly? The internal light bulb warms the salt lamp and by doing that- releases the negative ions that will clean and will purify the air. You may feel that your Asthma symptoms are relieved and also in case of Sinusitis and allergies. You are definitely not alone in your suffering ! Millions of people from Europe suffer from snoring and don't know what to do about it. Why snoring is a problem? Snoring causes tiredness, irritability, strained relationships and loneliness from not being able to share a bed with your partner. The good news is that our ZQuiet is here in Cyprus to help ! It's time to kick snoring out of your bed and to live the life you deserve ! ZQuiet ® is a device created by a dentist. ZQuiet is comfortable, easy to use and best of all- guaranteed to work the first night. Buy ZQuiet now and regain one of the most important parts of your life- a great night's sleep. What causes snoring and why ZQuiet works? 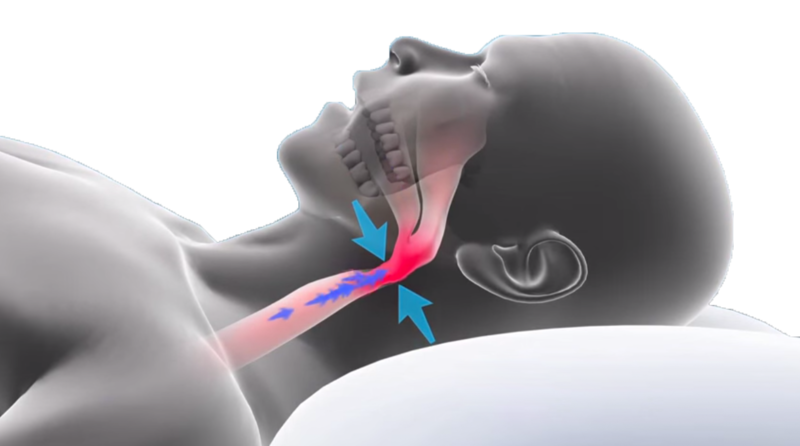 Snoring noise is caused by tissue vibration in the back of the throat. 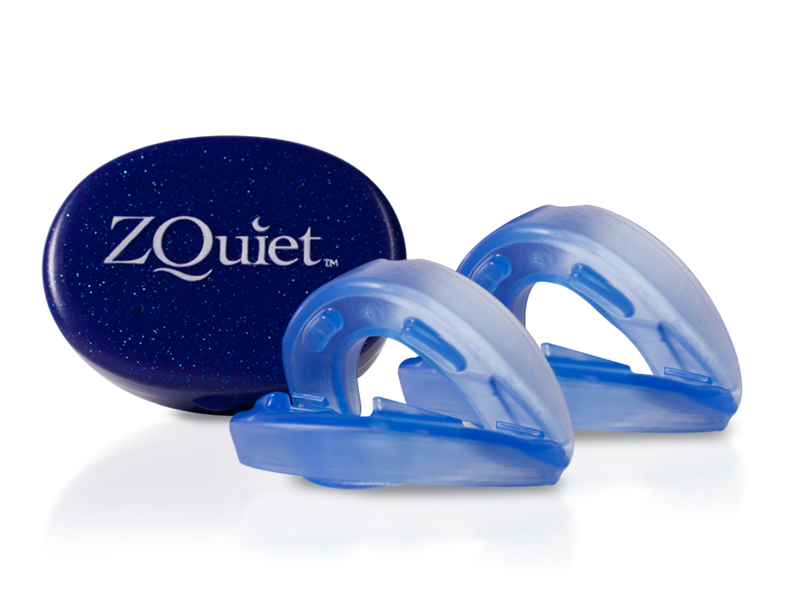 ZQuiet widens the airway by gently advancing your lower jaw to quiet the noise instantly ! Many people need just a small advancement, while some need a little more. ZQuiet 's new comfort system now gives you both sizes so you can be assured of comfort and results. Our ZQuiet that is being offered for the first time in Cyprus, is based on the same technology that dentists have been using for years to effectively treat their patient's snoring issues- but, ZQuiet® is engineered to work right of the box with no fitting required. And when you buy ZQuiet from P-MediCyp Ltd Cyprus you can rest assured you are buying from an authorized dealer, that the ZQuiet is safe and effective for your snoring. ZQuiet had to prove not only that the material is safe but also that the product effectively achieves it's intended purpose. ZQuiet is designed as a class II medical device by the FDA so it meets regulatory requiremnets and also intended for your peace of mind. Most snoring caused by your jaw relaxing and falling back. Surronding soft tissue collapsed and restrict breathing. Your lungs works hard to force air to this compromise space, resulting the snoring sound. 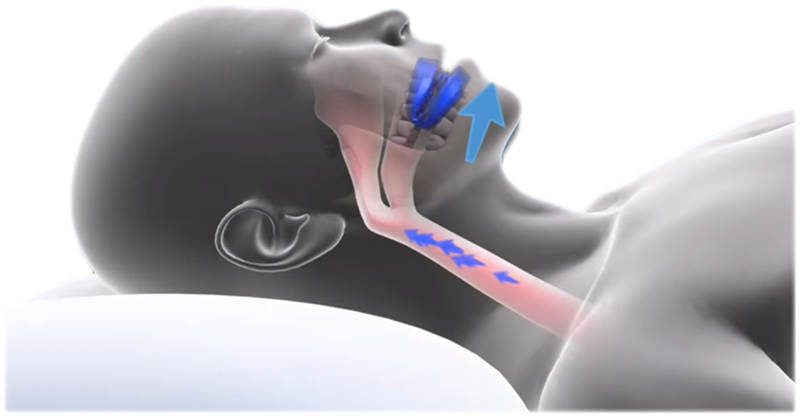 It gently postion your lower jaw slightly forward, helping to open your airway, keeping it clear at any sleeping position. You'll effectively treat snoring and both sleep better from the very first night. Guaranteed !